Now that we are approaching the middle of May, Summer is coming in full force. In many ways the beginning of summer marks the start of sun, sand, and little more down time. With this down time can also come a lot more food and booze too! So, to help you stay on track with your fitness and weight goals, I urge you to stay in season. 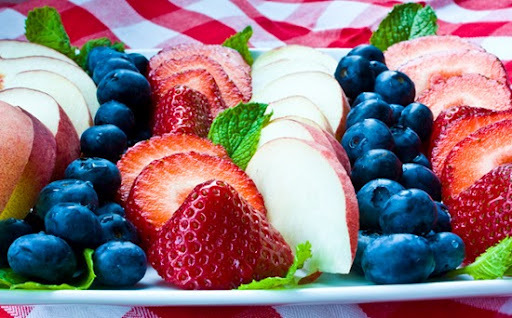 Some of the most delicious foods are fresh and in season May through August; fruits like peaches, melons and blueberries are perfectly ripe, vegetables like broccoli and asparagus are crisp and fresh. There is truly an abundance of amazing produce that are at their peak during these warm months (and bonus- all are healthy and helpful to keeping you look fit in your bathing suit!). Click here to see Fitness Magazines great summer recipes. Are you also looking for a healthy-focused vacation? Check out Smart Workouts Fitness Vacation– a way to see NYC in all its glory all while eating healthfully (even at restaurants!) and exercising. Don’t worry- we’ve included some down time spa services as well! Heres to a healthy start to a great summer! Doctors have often recommended that patients undergoing treatment for cancer minimize their physical activity and get plenty of bed rest, but recent evidence from UPenn has shown that moderate amounts of physical activity can offer significant benefits for cancer patients. In the past, it was thought that allowing the body to spend large amounts of time resting and recuperating would aid in the recovery process; however, it has now been shown that cancer patients can improve their chances of survival, their quality of life and their energy levels by engaging in moderate physical activity if they are capable. Exercise for cancer patients should be moderate in intensity, and mirrors the guidelines normally set for healthy adults. Simply walking for thirty minutes a day for five days out of the week is enough to gain practically all of the benefits afforded by exercise. In addition, resistance training may also be useful for cancer patients. Cancer patients often experience weight fluctuations while undergoing treatment; cancers that are hormone based such as breast cancer often cause significant weight gain in the form of additional fat deposits while cancers that affect the integrity of the digestive system can cause weight loss due to the patient not having an appetite or not being able to absorb nutrients as efficiently as they are used to. 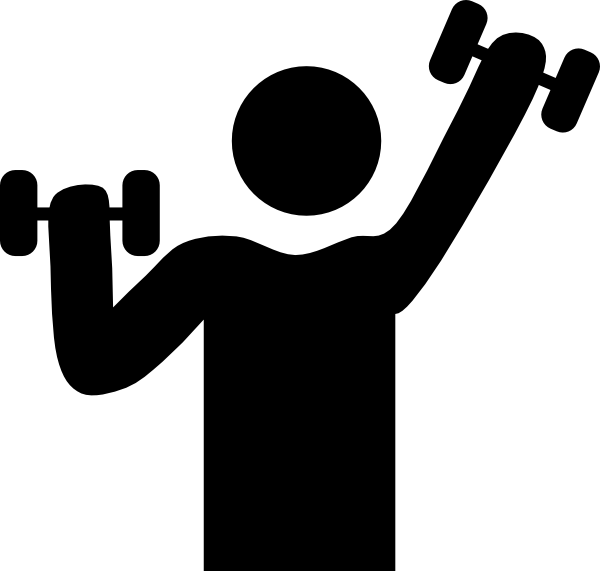 In the former case, exercise can help prevent the fat gain by increasing the number burned by the patients body; in the latter case, exercise will help preserve lean muscle mass by actively engaging the patients muscle tissue during exercise. Regardless of the type of cancer, exercise can help to stabilize the patients weight and prevent unwanted fat gain or muscle loss. Cancer patients, like anyone else, should take care to listen to their body while performing exercise. A medical professional can help guide patients on what type of exercise is suitable for them; for example, patients being treated for breast cancer who have had biopsies or lumpectomies performed may sustain injury from doing any exercises that work the upper body, as muscle tissue is often damaged by those surgeries. Experiencing aches and fatigue from performing exercise is usually not an issue, but any sort of sharp or stabbing pains indicate a more serious problem and patients should not perform exercise that is uncomfortable. The data collected in clinical studies points to patients undergoing cancer treatment receiving a positive benefit from physical activity. It is likely that this will result in a shift in the treatment paradigm in oncology, with oncologists stressing the need for their patients to perform reasonable exercise at a frequency similar to healthy adults rather than suggesting that their patients remain sedentary and inactive.